Owner Giuliana Torre gave up her Wall Street career years ago to dedicate herself to a raw, healthful lifestyle. She shares it with the community at this juice bar boutique stocked with Kabbalistic talismans, handmade beauty products and healing remedies. Are you gonna have your cake and eat it, too? Then you may want to think about icing it with low-glyemic hot fudge sauce. Organic Nectars is known for its sweet, raw, agave-based dessert toppings free of dairy, soy or gluten. The cacao is cold-pressed using unroasted beans. This Snow Lotus tea, which is said to have beauty and immune system benefits, dissolves almost instantly when stirred into water. An organic, multi-use makeup product that's good enough to eat. MaidenFern Blushing Balm ($30) is made with pure plant oils, beeswax and pigments like aromatic cinnamon, cayenne and carrots. Even the raw-minded among us like to play with food outside the kitchen. That's where Lulu's Organic Raw Chocolate Edible Skin Food comes in. Dubbed a "tantric treat," the edible skin treatment contains just three ingredients: cacao butter, coconut oil and cacao essence. A menu of made-to-order juices and smoothies awaits each customer. Seen here: Juicy Naam's I Am Buzzing smoothie, a mix of coconut Water, bee pollen, almonds, banana and honey. 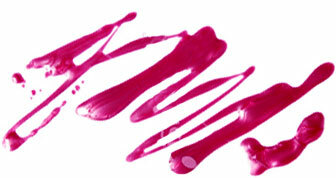 RoseGlow Lip Balm in Lowers Lips ($15) is a rare makeup find - it uses actual rose pigment to give lips a rosy flush. The entire recipe consists of organic rose otto, immortelle, palmarosa, bergamot and lavender mised with a jojoba and beeswax base. Solid perfumes tucked away in tiny aluminum cases make application a cinch. The buttery formula melts into your pulse points and releases scent all day.